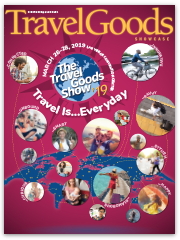 As reported previously, on June 30, the U.S. government announced that U.S. travel goods imports from least developed countries, like Cambodia and Burma (Myanmar), and sub-Saharan African countries now have duty-free access to the U.S. market under the U.S. Generalized System of Preferences (GSP) program. While a small victory, the surprise June 30 decision was deeply disappointing. Despite no opposition, and overwhelming industry and Congressional support, the Obama administration chose not to expand that same duty-free access for U.S. imports of travel goods from India, Indonesia, Pakistan, the Philippines, Thailand, and dozens of other GSP countries. After an intense lobbying effort by TGA and others over the summer, the U.S. government finally agreed to reconsider its decision limiting benefits. TGA will submit comments as part of the new process, and work with other industries, its Congressional supporters, and others, to push the U.S. government to expand benefits to all GSP-eligible countries when the government makes its new decision, which is expected by the end of the year. We need your help! Comments for the new review are due by the end of October. We also need TGA members to urge their members of Congress to contact the Obama administration in support of a decision expanding benefits to all GSP-eligible countries by the end of the year. TGA can work with members by providing comment templates and e-mail templates to reach out to their members of Congress. TGA has been aggressively pushing Congress to approve the Trans-Pacific Partnership (TPP) Free Trade Agreement during its upcoming lame-duck session after the election, participating in lobby days and a TPP back-to-school campaign, and penning op-eds in support of TPP. Despite the election year rhetoric against trade, TGA strongly believes a successful lame-duck vote approving TPP is possible…but only with your help. After the election, we need your help to reach out to as many members of Congress as possible to urge them to vote for TPP. Once implemented, TPP provides U.S. imports of travel goods from Vietnam and 10 other TPP countries immediate duty-free access under very flexible rules of origin. This agreement is too important for TGA and its members to not fight for, despite the current anti-trade environment. On August 30, after years of strong opposition by TGA and others, California’s Office of Environmental Health and Hazard Assessment (OEHHA) announced new regulations for California Proposition 65 warning labels for products sold in California. The new regulations, which do not go into effect until August 30, 2018, will render the current warning labels used by the travel goods industry ineffective. The two most notable changes are that the warning must name the chemical or chemicals in the product that are covered by Prop 65. The second is that the warning label must include a bright yellow warning triangle. There are other modifications to the warning label as well. A quick comparison of the current warning label and this new warning label is below. TGA is working hard to craft new warning label language that the industry can use after August 30, 2018 so that the industry can continue to indemnify its products and its customers from Prop 65 notices and lawsuits. TGA will continue to update members on its progress. Again, the new requirements do not go into effect until August 30, 2018. Until then, the industry can continue to use the current warning labels. Current – Warning: This Product Contains Chemicals Known To The State of California To Cause Cancer, or Birth Defects or Other Reproductive Harm. After August 30, 2018 – WARNING: This product can expose you to chemicals including [name of one or more listed chemicals], which is [are] known to the State of California to cause cancer, and [name of one or more chemicals], which is [are] known to the State of California to cause birth defects or other reproductive harm. For more information, go to www.P65Warnings.ca.gov. MTB – ANOTHER CHANCE TO REDUCE IMPORT DUTIES? After many years of lobbying by TGA and others, Congress has re-started the long-stalled Miscellaneous Tariff Bill (MTB) process. In the past, companies have been able to temporarily reduce or eliminate duties on U.S. imports of inputs, and finished products, that are no longer made in the United States, and that cost the U.S. government a limited amount of money in lost revenue. Note that MTBs affect U.S. imports from all countries, including China. 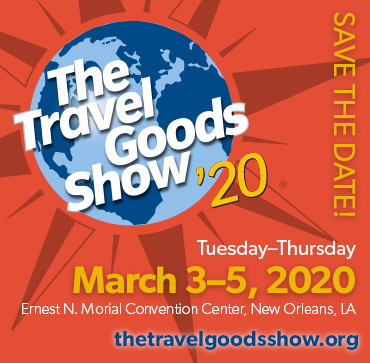 While the U.S. travel goods industry has not utilized the MTB process much in the past (beyond textile bags for dolls), the MTB process has been successfully used to temporarily reduce or eliminate duties on U.S. imports of finished products before, most notably on certain types of shoes. The legislation Congress approved to restart the MTB process made a number of significant changes to the process. The petition window opened October 14 and closes December 13. Petitions must be submitted by the beneficiary company. For more information on the MTB process, please contact TGA’s Nate Herman or go to the U.S. government’s MTB website.